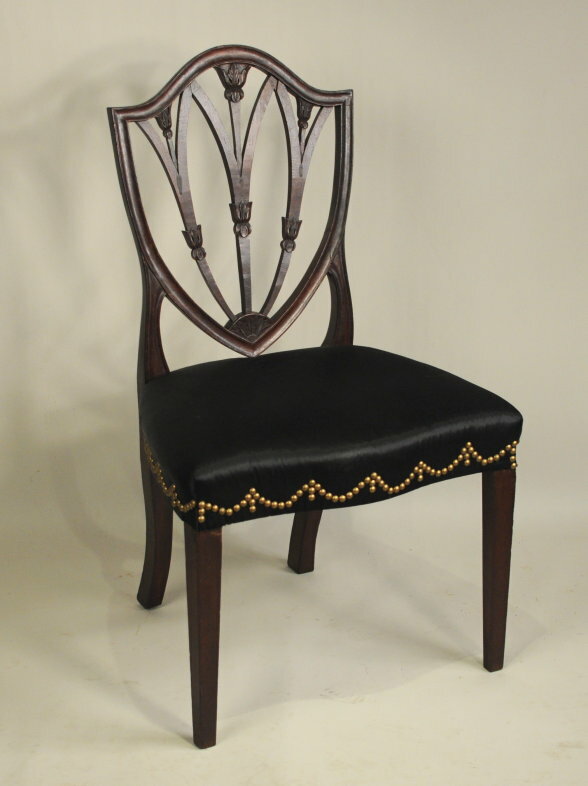 Very fine and rare hepplewhite carved mahogany shield back side chair, the back with cove molded and beaded surround, with three intersecting vertical slats with leaf carving, above an upholstered seat raised on square tapering front legs and raking outflaring rear legs. Retains an old, perhaps orignal finish. Carving attributed to Samuel McIntyre, Salem, Mass., circa 1800.